Topic: What happened to H.E.R.P.? Re: What happened to H.E.R.P.? Just checked...works for me. I've been editing records this week and haven't had an issue. Multiple species may be seen exploring these areas right in town. ARE YOU KIDDING ME! 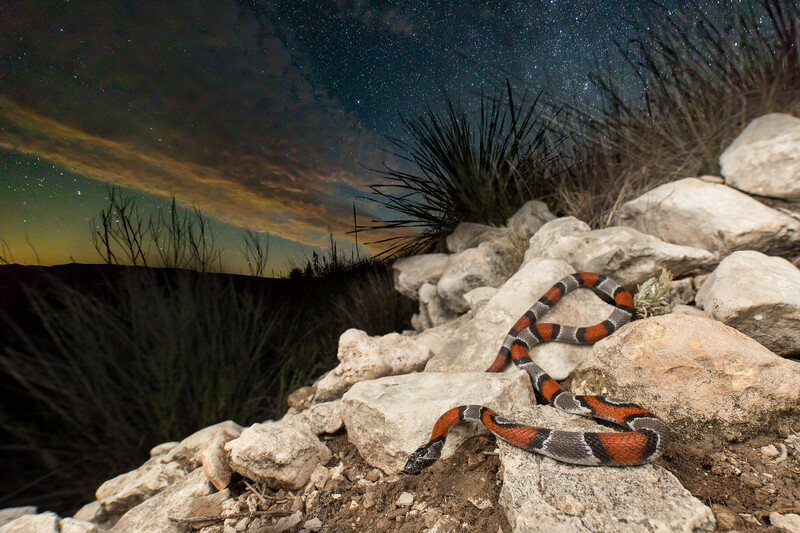 This photo is the most amazing thing I've ever seen to capture the essence of West Texas herping. That's what I think too (since we have so many of them established in southeast TX now and I see them often), but I don't know what other closely-related anole species may be found sympatrically on Cuba or its smaller islands. Part of the world that Jhon is in notwithstanding, I thought that was a good guess, Chis. Now I feel dumb. That's what I get for going purely off memory, and not having thought about four-eyed fish in a LONG time! This will be the first Snake Days I must miss, due to job requirements. Of course, my absence may motivate other people to go for the first time! I'm bummed I have to miss both Snake Days (first one missed) and IHS this summer due to work requirements. In between, I have a trip to FL to see family friends. Maybe I'll get some incidental herping in. DarwinsBulldog wrote: "This looked like a cross between a frog and something else so I couldn't identify it. It was almost like a sea monster in the water. Matty told me to mark it as possible new species"
That is likely a mudskipper. This is just a retreat center pond though - there is no mud or ocean. This online survey is for Texas residents and aims to determine where they're spreading, and factors which may be correlated. Thank y'all for your participation! Topic: Reptile & Amphibian Public Opinion Survey--2 WEEKS LEFT! Re: Reptile & Amphibian Public Opinion Survey--2 WEEKS LEFT! Reminder: survey closes Feb 15th. If you've been meaning to take it but have been putting it off, now's the time! Just under a month remaining on the survey window. If you haven't yet taken it, please do...and encourage your non-herper family and friends to do so as well! Are ALL of your herping seasons this amazing? You really cleaned up on some traditionally "hard to find" species. Reptile & Amphibian Public Opinion Survey--2 WEEKS LEFT! We missed you, but you don't have to make up for your hiatus entirely in one post! Jeff wrote: I hope this has answered some of the questions and comments. It did for me. Disappointing information but good to know nonetheless. Well, I'm talking to Dustin Rhoads as we speak (author of The Complete Suboc) and he's interested in seeing what we can do about this, maybe next summer...thanks for the idea, Kelly!